At Lee Dental, we offer top of the line solutions for all of your dental needs. If you’re looking to whiten your smile, talk to us about the Opalescence tooth whitening system. In as little as 30 minutes per day, the take-home Opalescence whitening system can get you the results you need for a bright white smile. Whether you have a special event like a wedding or a prom, or you just want to treat yourself to the smile you’ve always wanted, Opalescence whitening gel is proven to be effective and safe. The take-home Opalescence whitening gel contains a combination of potassium nitrate and fluoride. Potassium nitrate is shown to help reduce sensitivity while fluoride has long been used to help reduce cavities and strengthen tooth enamel. Used together, the Opalescence whitening system can actually improve the overall health of your teeth. 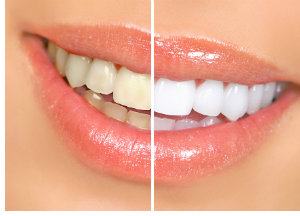 Unlike traditional bleaching, the Opalescence system is chemically activated so UV light is not necessary. We’ll create custom trays for your teeth and you can apply the gel and wear the trays in the comfort of your home. You can even wear them while you sleep! The Opalescence treatment is completely safe and can actually increase enamel hardness and the overall health of your teeth. The whitening gel is formulated to prevent dehydration and shade relapse, so your pearly whites will stay healthy and retain their color for the long-term. If you’d like to achieve your perfect smile, contact us today to get started.